One of my favourite Japanese musical artists was Sakai Izumi, also known as ZARD. She passed away unexpectedly a few months before I arrived in Japan. 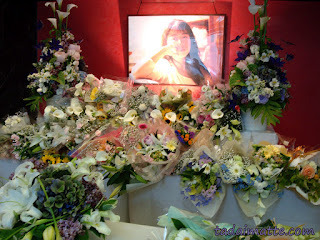 This photo was taken at a memorial in Shinsaibashi after the What a Beautiful Memory memorial concert in Osaka.